Windows.old folder in your Windows system drive is created when you upgrade the Windows OS or update Windows 10 build version. The Windows.old folder contains all the Windows system files from the previous Windows installation. Windows.old folder helps you to recover old installation if something is wrong with the updated build. If you keep it as it is, no problem. Only if you are short of storage space, you should delete it to recover large space. Most of the time, the average size of this Windows.Old folder is 12 GB depending upon what software you have installed. Depending upon your setting, it also contains your personal user files. Can you delete it by pressing Delete button? The regular method of deleting any folder fail when you try to delete the Windows.Old folder. maybe because it's too big to delete and acquire entire recycle bin quota. Try playing games, your favorite software, movies and music on the new build. If everything works fine, and you have no problem with the update, you can go ahead and delete it. Go to This PC >> Right click on 'Local Disk C:' and click on 'Properties'. 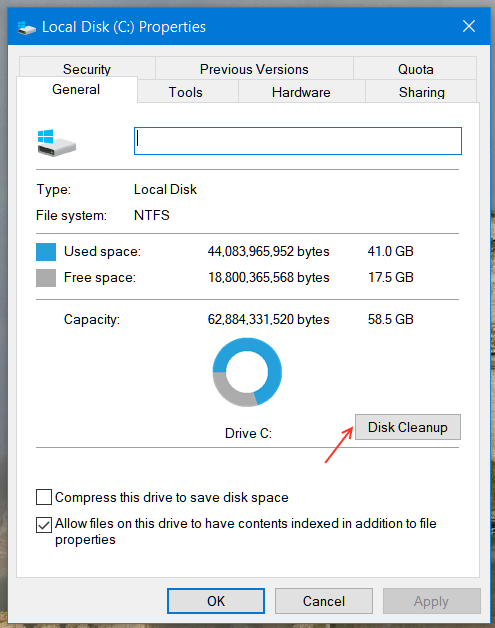 Under 'General' tab, click on 'Disk Clean up' button. 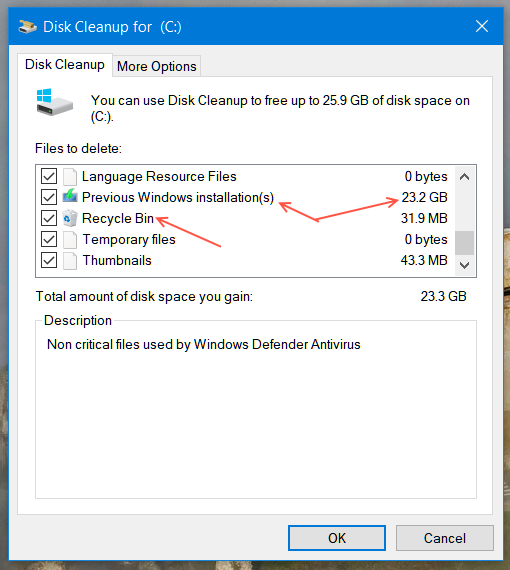 Select 'Clean up system files' button. Do not directly delete the files. Wait for some time and 'Disk Cleanup' pop window will appear. Here select everything you want to delete and also select 'Previous Windows Installation'. You have successfully deleted Windows.Old folder and many other unwanted files. If your system partition is limited on storage, especially if you are using Solid state drive with smaller space, this will help you to recover about 25 GB of storage space. You can alternatively use modern settings app. The 'Storage sense' feature is helpful to delete unnecessary files. Go to settings (Windows key + i ) >> System >> Storage. Click on Temporary files and you can select what you want to delete. Select 'Previous windows installation' files to delete the Windows.Old folder using modern settings app. You can use Windows storage sense to delete unnecessary files at specified defined time interval if not used. 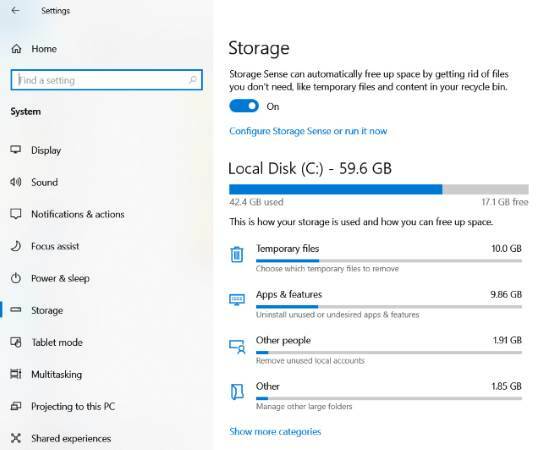 The storage sense settings allow deleting the old installation of windows automatically at a specific interval. Go to Settings >> System >> Storage >> Storage sense >> scroll to bottom and select 'delete previous versions of Windows.